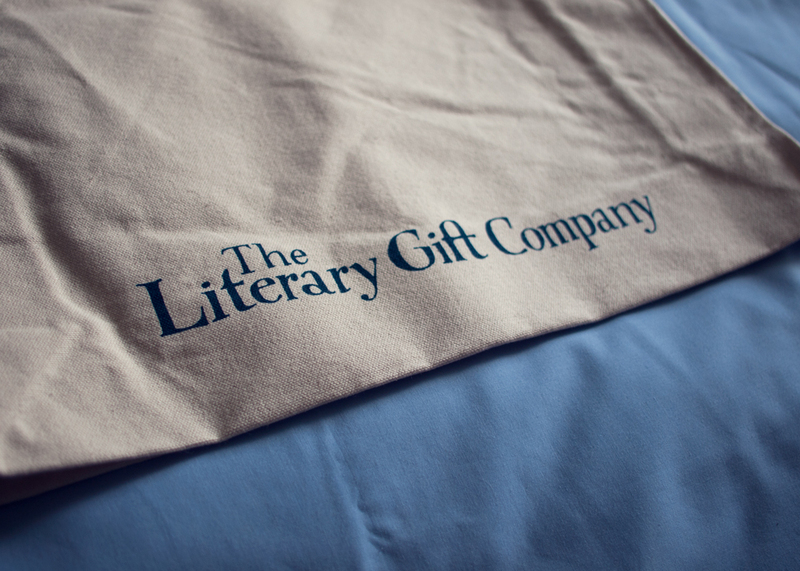 Anastasia Gammon: The Literary Gift Company. This is potentially a little bit of an odd one today. If you follow me on Instagram then you may have seen my new bag, that I am completely in love with. 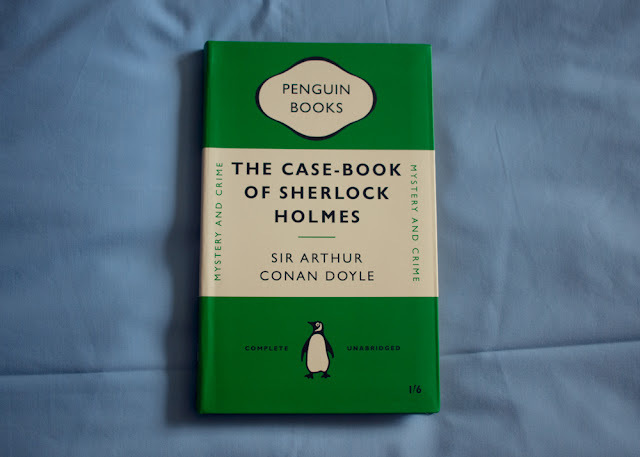 I totally bought this on a whim after I saw it featured in this blog post and just had to have it. I Capture the Castle is probably my favourite book and I had actually just finished re-reading it when I saw the bag so clearly that blog post was a sign that I was meant to own this bag. Right? 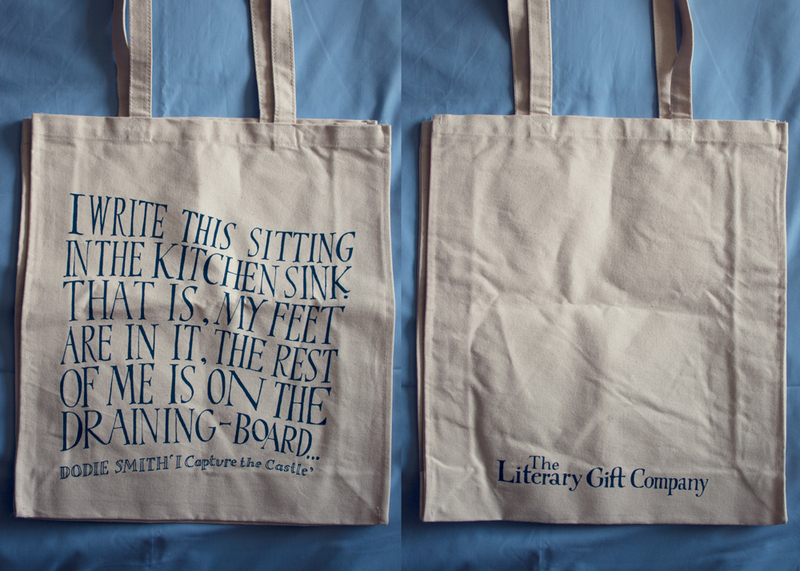 Anyway, the bag came from this fantastic online shop called The Literary Gift Company and while I was there I spotted a couple of other little things that I just had to buy as gifts for some friends whose birthdays were this month. 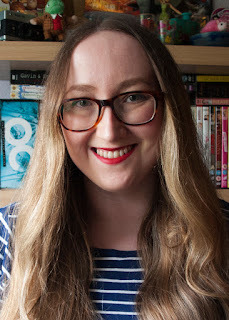 That's why this post is going up weeks after I actually received the items, because they were all so lovely I just had to make a post about them, but obviously I didn't want to spoil the surprise for my friends. I hope they don't mind that I snuck a few pictures of their gifts before wrapping them! The first gift was this adorable set of pens that say 'Show, don't tell. ', 'Write bestseller with. 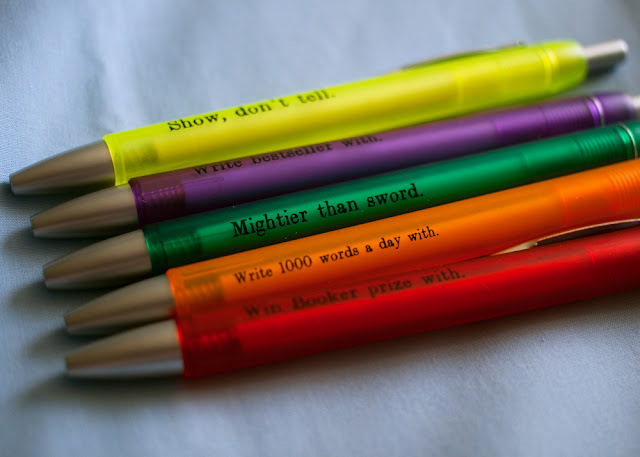 ', 'Mightier than sword. ', 'Write 1000 words a day with. ', and 'Win booker prize with.' These are too cute and just perfect for the writer friends I bought them for. I know this isn't the normal kind of thing I post but I just thought everything was so cute and I am completely in love with my new bag so basically this is just an excuse to show that off. I hope you don't mind too much. this is 100% the content i follow you for.